Add a picture on a birthday cake and sign your ecard with custom happy birthday greetings with the help of this birthday photo editor! 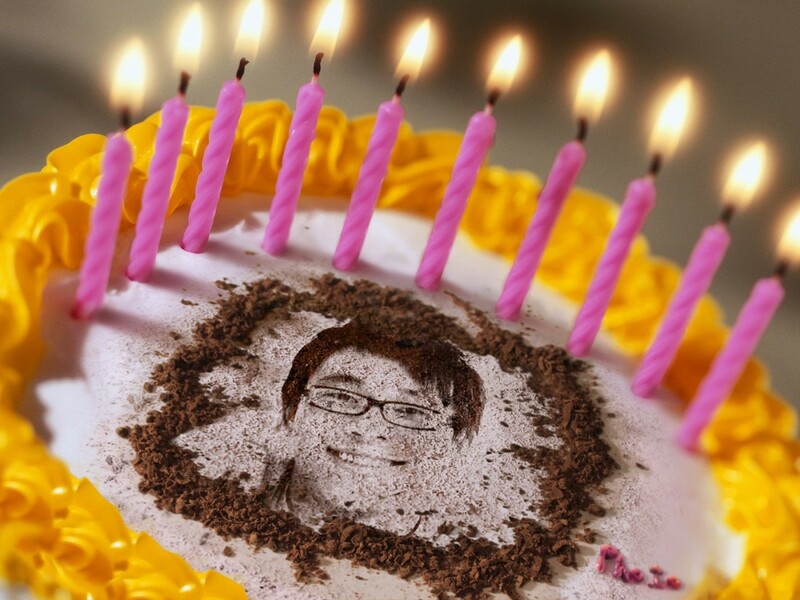 Personalized birthday card is an easy job with a ‘Birthday cake’ photo effect. Every somebody’s birthday you become mad and your head is spinning in seeking the unusual birthday greeting card. Almost all cards in Internet are too simple and not interesting… We know about that and offer you to make an exclusive personalized birthday card using this birthday photo editor! You can easily make a birthday card by yourself. 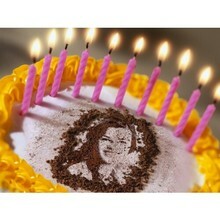 Just upload the photo of a birthday person to this birthday photo maker and you will got a perfect personal gift. 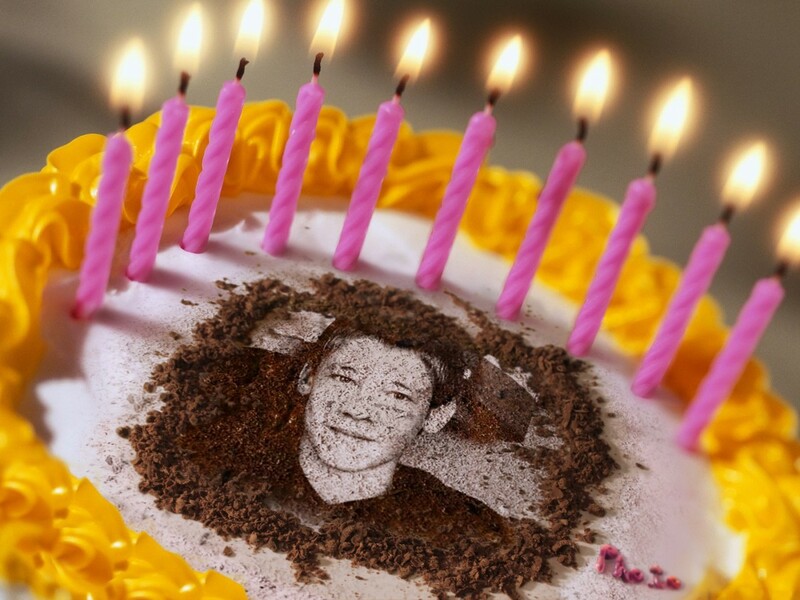 Photo on a birthday cake looks like a handmade decoration with chocolate shavings on the top of the cake. Online photo editing for birthday allows you to get a realistic card with celebrator's picture on a birthday cake which emphasizes your good attitude and care to a person who will get this birthday greeting card. You can send a card online or print it and write some warm words on it to give it from hand to hand. 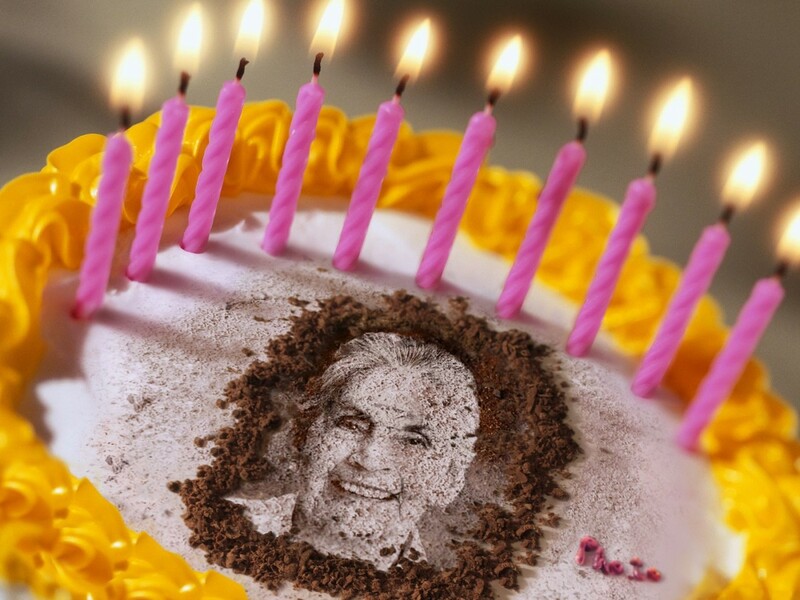 No matter the way you choose - this photo gift with photo on cake will demonstrate all your best wishes! Perform online photo editing for birthday with our other Birthday greeting card templates and frames available on the 'Birthday' tag page.